4 figures per pack. 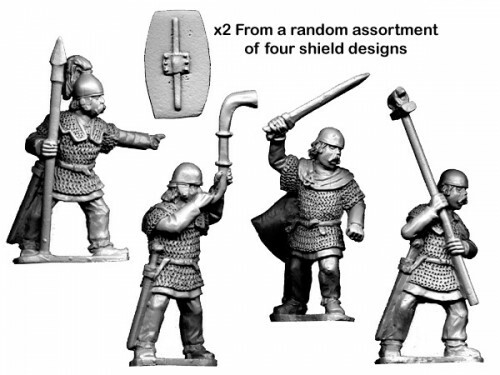 Figures are 28mm sized, supplied unpainted and made of metal. Shields need glueing in place.